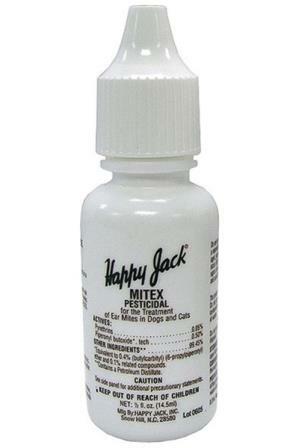 For use on dogs and cats with ear mite trouble. Microscopic in size, ear mites are often a major problem for dogs and cats. Ear mites can cause intense itching inside the ear, irritation and infection if not treated. This ear mite treatment contains pyrethrins. Microscopic in size, ear mites are often a major problem for dogs and cats. Cause intense itching inside the ear, irritation and infection if not treated.